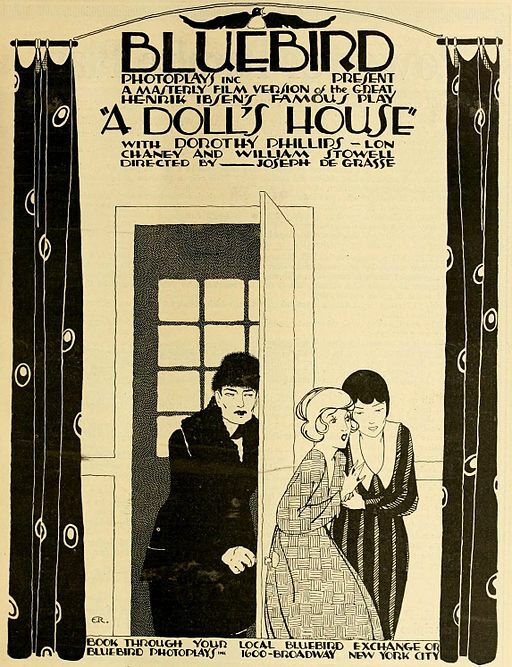 Those who take A Doll's House as indication that Ibsen was a champion of the woman question are wrong in their conclusions; for he was interested much more in the larger spiritual question of the equality of the sexes. If he stressed the feminine in his plays, to the detriment of the masculine, it was simply because he felt that the weaker side of the argument needed the stronger support, in order to reach an equal balance of fairness and justice. A Doll's House was completed while Ibsen was spending the summer of 1879 in Amalfi; it was almost immediately published. The play raised a storm of protest everywhere, and for many years was regarded solely as an attack upon marriage. Ibsen was called every preposterous name imaginable. The only way in which the play was allowed to be performed in London was in an adapted form made by Henry Arthur Jones, alternatively titled Breaking a Butterfly . It premiered at the Princess Theatre on March 3, 1884. Nora's slamming of the door in her husband's face, as she leaves the house, resounded throughout the world. Debates were held everywhere as to whether Nora was justified in leaving her home, whether it was the true act of a mother and a wife, and whether Nora, in the end, would return to Torvald, her husband. As an acting drama, A Doll's House has held its popularity on stage and young actresses world-wide covet the chance to play the character of 'Camille." Apart from its philosophic preachment, it is a portrait of a most interesting woman, — not as subtle a portrait as Hedda Gabler, or as 'Rebecca West' in Rosmersholm , but affording in deep psychology-- as well as in such outward scenes as the Christmas Tree, the Tarantella dance, and the denunciation scene-- ample opportunity for histrionic ability. Eleanor Duse, Madame Réjane, Agnes Sorma, Mrs. Fiske, Madame Nazimova and Ethel Barrymore, are among the many actresses who took on the role. The play premiered in America in 1883 in Louisville, Kentucky, with Madame Modjeska performing the title role of Nora. It was first performed in London, in its regular form, by Janet Achurch and Charles Carrington, at the Novelty Theatre on June 7, 1889.